Rustic Wedding in Auch, France. Domaine de Baulieu. 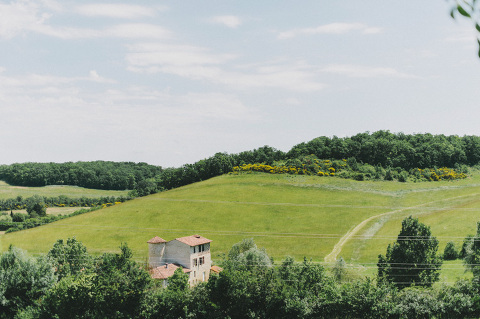 I usually work as wedding photographer in Malaga, but this June I have the great opportunity of working as a destination wedding photographer , concretely in Auch, a beautiful city in the French countryside. 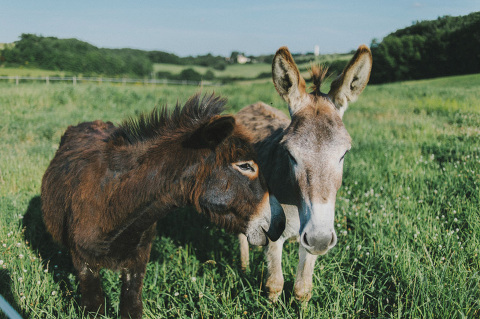 The protagonists of this story, Berangere and Laurent wanted to get married in a rural hotel so they organized a proper Rustic Wedding in France at the Domaine du Baulieu Hotel that lacked nothing. Bride and groom wanted to do a big celebration for their special day and that´s why they decide to do a two- days wedding. 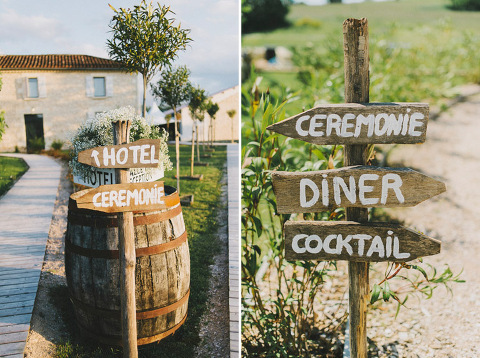 They made sure everything was 100% rural with wooden signs to signalize everything: the cocktail, the hotel, the ceremony… The green landscapes so characteristic of this area put the icing on the cake. Berengere, had to wake up very early that morning because every little details was taken care of by her personally. The hotel where all the guests stayed had a pool, so the beginning of this two-days event was all about enjoying the facilities and a great buffet lunch. Berangere and Laurent decided that they wanted the civil ceremony to be held under a tree, which gave shelter to the guests during the ceremony. They also set out certain rules for the groom friends: they should all wear a bow tie, the closer friends actually wore this bow tie matching their socks. All the guests were young people which make of this a very enjoyable country wedding. The ceremony was very touchy, some friends of the couple conducted the ceremony and groom and bride both read some words they had written, so these gave the ceremony a very cozy and intimate touch. Berangere and Laurent relatives were sitting in wooden logs and the tree was decorated with bird cages. Everything according to the bride conception of her wedding, a customized and non- traditional wedding where no detail were missing. The outdoors wedding pictures were made nearby, close to a lake and an abandoned house, which made of these a very original and fun wedding photographic report with amazing views. The dinner took place at the hotel hall and when bride and groom made their entrance the guests lit sparklers and raised their napkins to welcome the couple while Daft Punk music played in the background. The centerpieces were books stacked and the cutlery had a label with the name of each guest written on it. The gift for the males was a bocce ball that they would use the next day and females received a scarf. During the party, the guests were given masks resembling the bride and the groom. It was a fantastic night where everyone enjoy themselves until the wee hours of the morning. The following day there was a pool party, with everyone dress in white, Ibiza Style, while drinking champagne and playing volleyball and table football, which was what Laurent gave Berangere as wedding present. Food was a buffet with a band playing live. The outfit the bride decided for this second day was a real vintage dress, the one her mum got married with and pink was the color they chose for every detail this day. In conclusion, working in this wedding was an amazing experience, so I want to take this opportunity to thank my friend Thierry Joubert for counting on me as wedding photographer abroad. In my opinion, he is the best professional in wedding photography in France so it was a real honor for me to be given this opportunity. I hope you enjoy this images and you can contact me for any wedding photographic report around Malaga, Marbella and abroad!